Popsicles for breakfast? You’ve gotta be kidding me right? 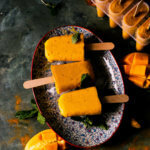 No, this incredibly easy Vegan Mango Turmeric Smoothie Popsicles is the best dessert you can have for breakfast, snack or anytime of the day. 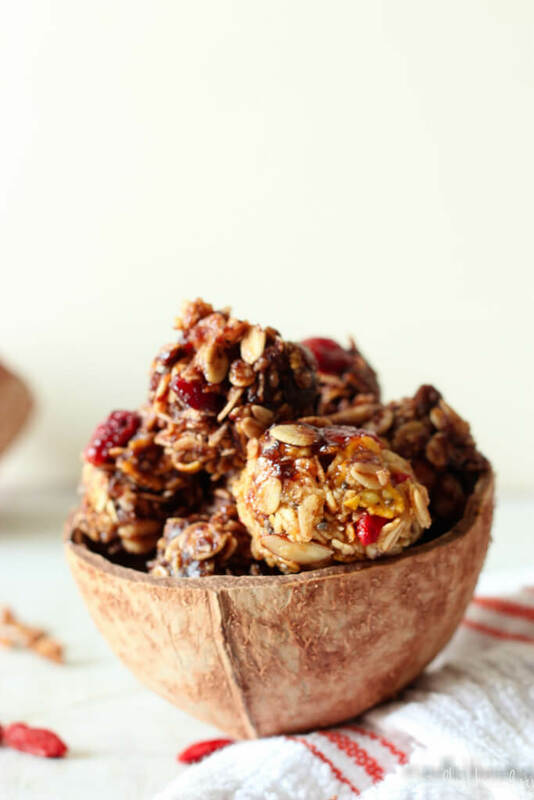 Kill those hunger pangs with these popsicles that are vegan, gluten free, completely plant based and Naturally sweetened with NO REFINED SUGAR. You know what was the most complicated part about this super easy dish? Shooting the popsicles! I mean, I had to get the shots right before they melted away. But, I hope I’ve done justice to it. Anyway, this season, we could never get enough of mangoes! Like really! 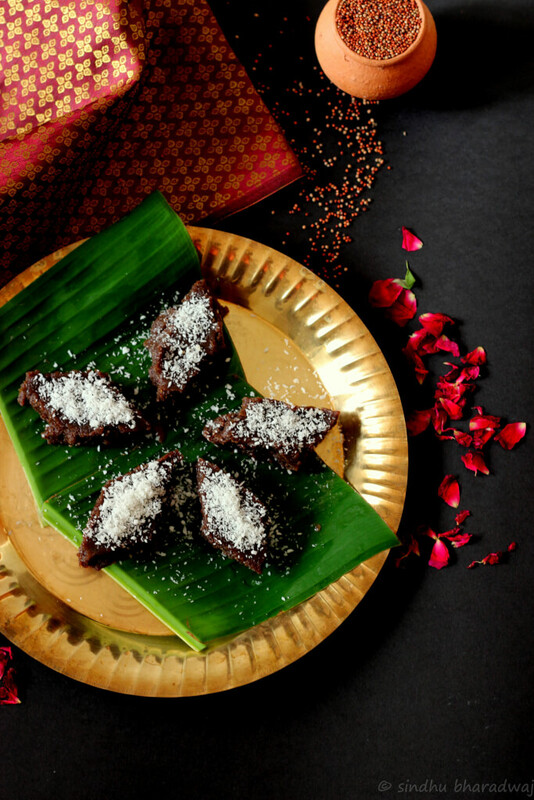 Never enough.. we had batch after batch coming and sitting on our table every week and although we relished the fruit in its original form more than making different dishes, there was a yearning to make something really really healthy, easy, vegan, gluten free, plant based and all that jazz 🙂 Oh, that reminds me for you to also check out this vegan Mango and coconut chia pudding. 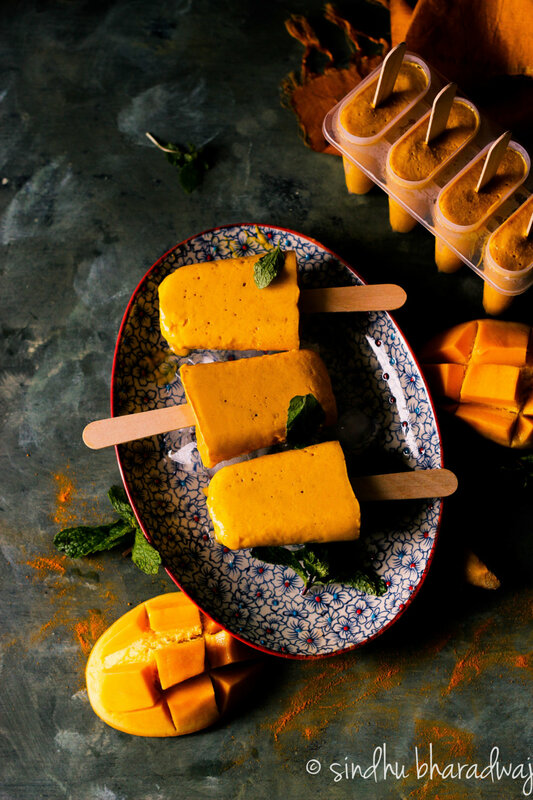 So just decided to make this Vegan Mango turmeric smoothie popsicle out of a whim and boy! How delicious was it? Without an iota of refined sugar and no other sweetener. Such is the quality of mangoes we got. All oragnic, farm grown (some from our own farm) others from friends and so on. What is it about this popsicle that makes it so special other than the vegan jazz? The ginger and turmeric add a flavour burst alongside the predominant taste of mangoes and it is smooth and silky at the same time. Plus ginger is anti-inflammatory, adds a zing and is great on the gut. 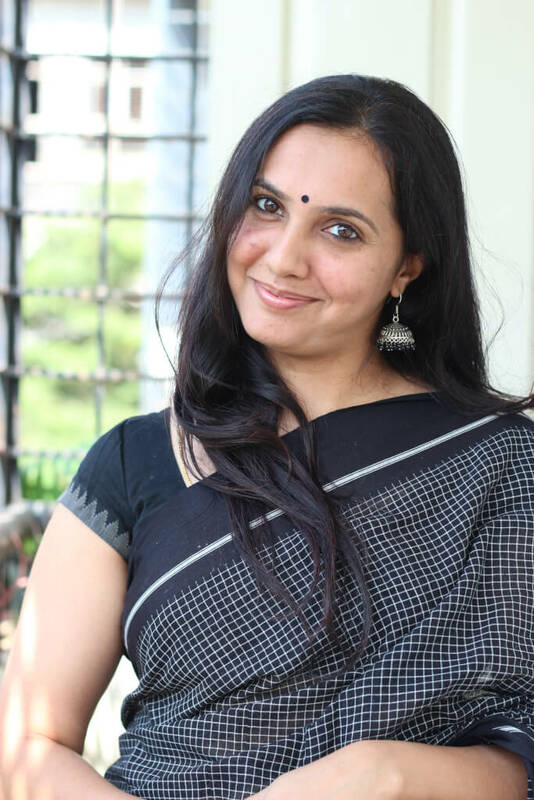 Helps in weight loss too. Turmeric on the other hand is anti-inflammatory, anti-bacterial, boosts the immune system and is super healthy when added to smoothies. This makes it a super-food smoothie popsicle that is absolutely guilt-free, healthy indulgence. And the tropical vibes it gives out is so addictive to say the least. 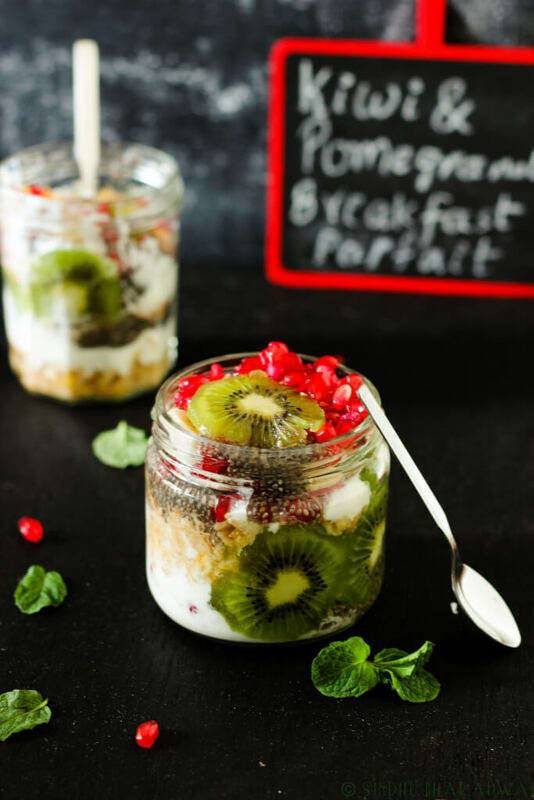 So make this uour breakfast inspo and pass on the good vibes. Until the next season of Golden Mango addiction, here’s signing off with this last recipe. Popsicles for breakfast? You've gotta be kidding me right? 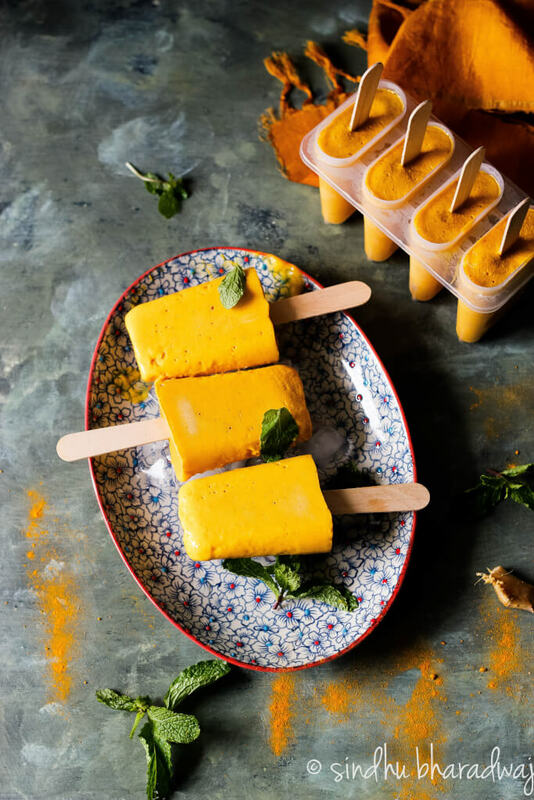 No, this incredibly easy Vegan Mango Turmeric Smoothie Popsicles is the best dessert you can have for breakfast, snack or anytime of the day. 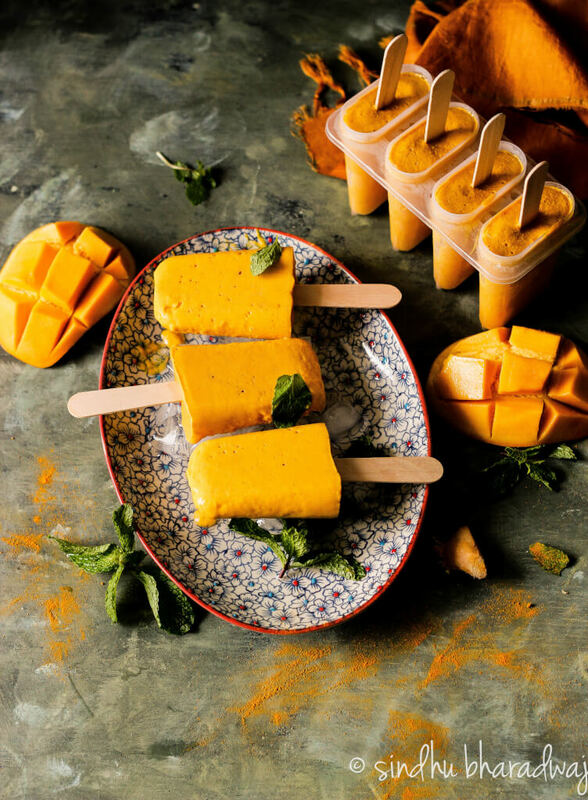 Kill those hunger pangs with these popsicles that are vegan, gluten free, completely plant based and Naturally sweetened with NO REFINED SUGAR. 2Cups Coconut MilkYou could you any other dairy free milk as well. 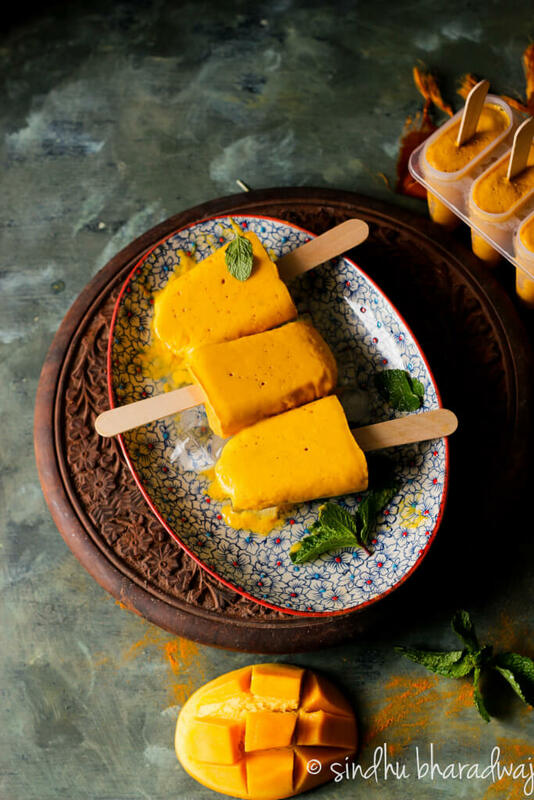 To make the mango turmeric smoothie popsicles, simply blend all the ingredients above and pour them into popsicle moulds. Freeze for 8-10 hours or overnight until set. Unmould and Serve chilled.